“Motherhood is supposed to be hard, but it’s not supposed to be this hard,” I used to think to myself. Yes, parenting is probably the toughest job anyone can take on. Babies and toddlers are demanding little ones, requiring your undivided attention all of the time. But I still remember thinking to myself that it wasn’t supposed to be this hard and this miserable. I should have listened to my instincts. Before Vman was born, I had read that babies often cry a little within the first two weeks but then really find their lungs and voice after that. When Vman was born, he was born crying the moment he hit the air. And, honestly, he just didn’t stop. Because I had an unscheduled C-section, we spent five days in the hospital. On the last night, my husband and I decided to have the nurses take Vman so we could try to eek out a few moments of sleep before going home. The crying got a little louder. And well before Vman even reached our hallway of the hospital, we knew… we were the suckers! At this point, we had heard Vman cry SO much that we actually knew the sound of his voice. So while the other parents on our floor slept, my husband and I desperately tried to get our little man to calm down. We had no idea we would spend a number of years doing this. Why Does He Cry So Much! From the get go, it seemed that something was off with Vman. The crying was so over the top that it seemed ridiculous. Oh, babies cry, people told us. That’s just what they do. 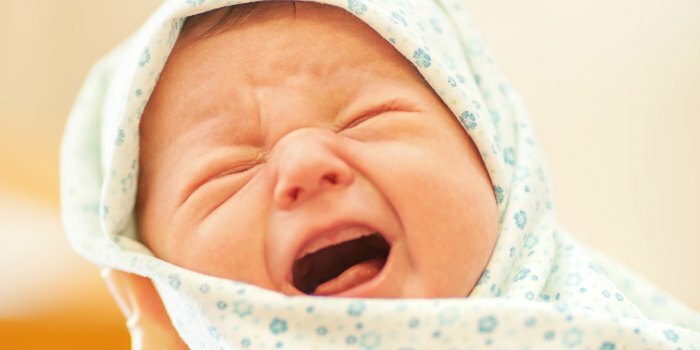 But I kept thinking to myself that babies aren’t supposed to cry this much. Finally our pediatrician said she thought he was colicky. Translated, we have absolutely no idea why your baby is crying all the time but he just is. 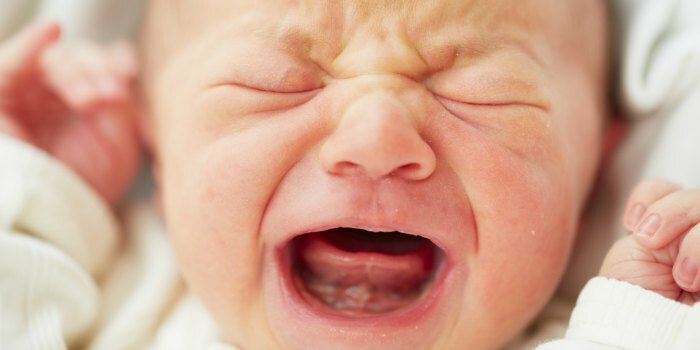 Babies generally cry for a total of two hours a day. Vman would cry for two hours at a time. In the haze, I managed to listen to some of my instincts. We naturally turned off all of the lights and lived by natural daylight or low-set lamps in the evenings. The TV, radio or anything else that produced sound went silent. These were just a few of the first steps I took toward listening to my instincts and changing our home environment to fit what I thought Vman needed. I had no idea why the rooms needed to be darker, I just did. I had no idea why the house had to become quiet, I just did. Even though my gut told me that something wasn’t right with Vman, it took almost three years before we finally figured out that he has Sensory Processing Disorder. Suddenly, all of the pieces of the puzzle began to fit. I began to understand why he reacted negatively to clothing, touch and even hugs the way he did. I understood why he had a physical meltdown to noise. As a sensory parent, you learn how to listen to your instincts. Once we finally had a diagnosis, I was able to fully embrace what my instincts were telling me. I wasn’t a bad mom who couldn’t figure out my child. 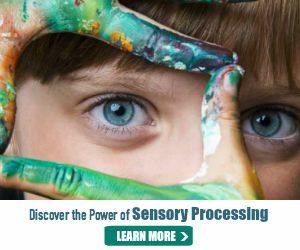 My kiddo had extra sensory challenges that he needed help with. Once I started understanding what was going on, I found that if I listened to my instincts, we managed to avoid some of the multiple daily meltdowns. By embracing my instincts about what to say yes to for my son, I found I better served him and the family as a whole. But as the core family, we were happier making the right decisions for our kids based on what they needed and not the expectations of others. Follow your instincts on what you think your family needs and not what others expect. 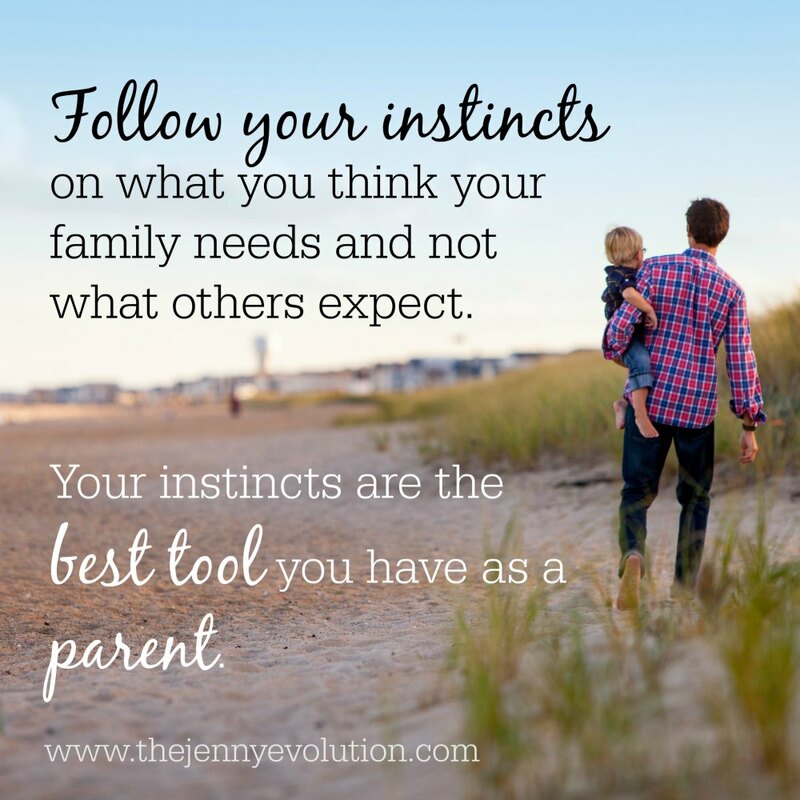 Your instincts are the best tool you have as a sensory parent. A mother’s instinct is never wrong. I felt the same way when my youngest was a baby … something is wrong. That must have been some tough times but the important thing is now you know and you can do what is best for your son! Absolutely. It was some long years until we figured it out and started getting him the help he needed with OT. But he’s 8 now and doing great. It’s difficult to accept that these instincts are NEVER wrong. If all mothers’ instincts were correct there would be a lot less dysfunction and kids and families running a muck. As parents we’re all fallible and make plenty of mistakes. 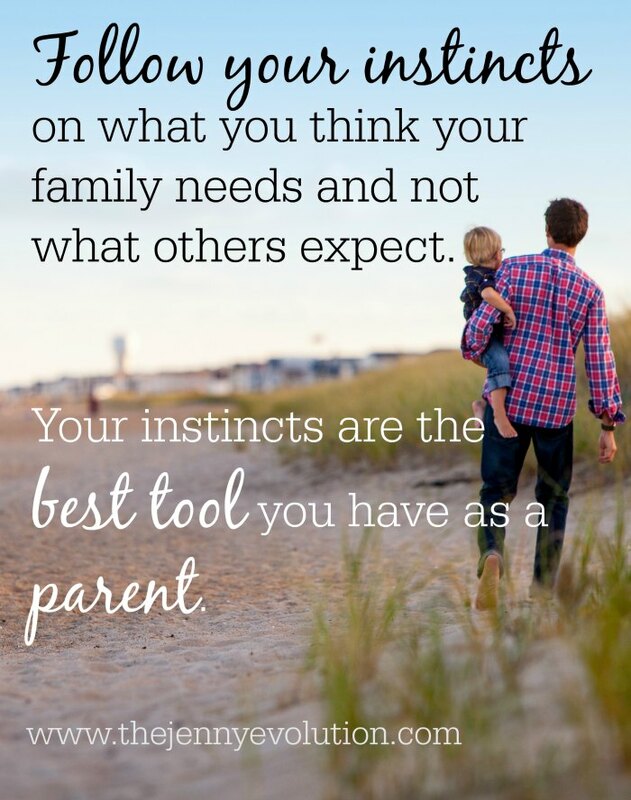 We “listen” to our kids and learn what they need as individuals, but these things are learned as we get to know our kids; they’re not really instincts. The author was very attentive and, though she may not have known why she did it or how she learned what to try, she learned what to do and what not to do. I don’t mean to split hairs, but words are important. I feel that it is a mistake to just blindly follow our first thought. If there was never a wrong instinct then those horrid shaken baby instructional videos wouldn’t exist. Every childis an individual and needs to be parented accordingly. Otoh, he sure got out of diapers early (to avoid that Feeling). Awww. Thanks. Yep, people just didn’t understand what was going on.. and didn’t necessarily believe something was going on either. Re-reading this years later with the same experience. Thanks for the reminder that our instincts MATTER. Oh my YES! I still listen to my instincts — and the difference is now when I feel that my instincts are taking me into a different direction, I’m not afraid to speak up. A mother’s instincts are an invaluable asset. So many times I’d been told how I need to reinforce parenting or it’s just a phase. But deep down I knew that there was something extraordinary about my child that no one else could see. Thanks! It’s crazy how people so easily brushed off what we were experiencing or minimized our feelings. How wonderful it would be if people validated what mothers were feelings, high needs kids or not. 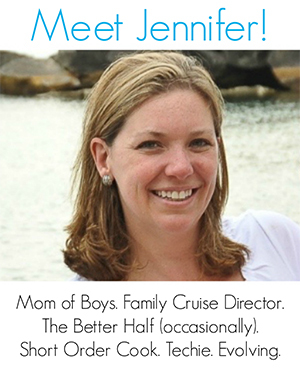 I think that, too often, we downplay our maternal instincts, which is a huge mistake. We rely heavily on the “experts”, who have spent much less time with our children than we have, to make decisions for our children. I think that, deep down, even if we don’t have the education and training, we instinctively know what our children need and just need to find our conviction within to advocate on our child’s behalf. I completely agree! Experts can give us ideas but we are the ones in the trenches with our kids and often just “know” what they need. I agree that a parental instinct is best–but add to that if you find later that something in your instinct was off course, DON’T blame yourself. You have to go with your gut because it’s right about 99.9% of the time. For the once in a while when you’re off, learn, forgive yourself and move on. The rest of the time, you’re still right. I would definitely agree with that, too!